Looking younger or maintaining a youthful appearance has been a long sought-after goal for both women and men. There has been notable and real success in achieving that goal. However, with continued scientific advances, it’s no surprise that new methods for age management have evolved. One that is gaining traction is what is commonly known as a vampire facial (aka Platelet Rich Plasma PRP). How this treatment works is by harvesting platelets from the patient’s own blood and then re-injecting them into problem skin areas. Before the injection occurs, the blood is spun down in a centrifuge to separate the red blood cells from the platelet rich plasma. The reason for this is due to the growth factors within the platelets. Those growth factors are released upon reinjection, which results in surrounding cells to become stimulated and begin repairs. A popular use of this treatment augments microneedling, due to the healing power and growth factors within PRP. Continue reading to learn more about this procedure including its history, benefits, potential side effects, and getting started with vampire facials. Made famous in an Instagram post by Kim Kardashian the procedure known as a vampire facial is relatively new. However, the PRP therapy itself has been used for years in other fields like urology, dentistry, neurosurgery, and more. The success generated in traditional medicine paved the way for its development into a cosmetic procedure. It is important to note that this procedure is still new and has not gained FDA approval for cosmetic use. However, it is common to use approved procedures in different ways than originally approved for. While there are some promising results so far, it’s viability still needs to be researched further. This therapy works on the concept that the body’s ability to heal and regenerate might slow or even reverse the aging process. By using this method, the patient is triggering new growth and rejuvenation directly at the location desired. By taking advantage of the body’s ability to repair itself, you can take advantage of your age management. Since the procedure uses your own blood, there are very few risks associated with this treatment method when done properly by a licensed certified practitioner. Redness at the injection sites. With anything involving blood (even your own) make sure that you are in a qualified, clean and sterile environment being operated by qualified practitioners. Finding an expert is as simple as visiting our online community. With AgeMD, valuable information detailing the vampire facial as well as qualified practitioners for this treatment is at your fingertips. Keep in mind that your health and safety comes first with any treatment. That’s why our mission is to give consumers control over their health by getting them connected with practitioners that are licensed, verified experts focused on vampire facials. How much does Vampire Facial cost? The cost for the Vampire Facial varies from practitioner to practitioner. The price usually ranges from a low of $1,000 to as much as $2,500 per treatment. In addition to practitioner pricing, the final cost is also dependent on the number of injections done in the treatment. Keep in mind that the larger the treatment area, the more likely the total cost will go up. How many Vampire Facial treatments will I need? The number of treatments needed will depend on your desired results and goals. Typically, most patients of this procedure get this treatment three times. The first treatment is essentially working on a blank slate, while the second and third build upon and seal in the results in the first treatment. Skin care and treatment is not a one and done option. Ongoing care is needed to realize the full potential of your Vampire Facial treatment. How long is the recovery time with Vampire Facial? Despite the scary name, recovery and downtime are minimal. Most patients are able to go back to work the next day without any ill effects. However, as much as possible try to avoid direct sunlight and use sunscreen for the first few days after the procedure. Your skin and pores will be open and healing during this time, which can be negatively impacted by the sun’s rays. Some patients may experience swelling and bruising and might want to consider waiting an extra day to recover in this case. If you’re prone to bruising, feel free to schedule a couple days off to minimize strain on yourself. How quickly will I see results from Vampire Facial? Results can be noticed almost immediately after the first treatment. However, full results are not seen till approximately 3 months after treatment. For some patients, they may see further improvement in their skin tone and texture for a few months after that. Remember the length of time till you see noticeable results is dependent on your own body’s ability to heal and recover with this treatment. If you’re concerned about your results, consult with your physician to determine if more treatments are needed. How long will my Vampire Facial results last? Similar to dermal fillers and other similar treatments, patients of this procedure can expect to benefit from results lasting up to 2 years. However, many patients go back for further treatment before the two years are up as part of an ongoing maintenance program. The number of maintenance treatments will depend on your personal preferences and goals. By working closely with your physician, you can determine how often to keep your treatments going to maintain the results that last. Are there other similar options to Vampire Facial? Fans of the Vampire Facial may also want to consider other options depending on their overall needs. Some options available include dermal fillers without PRP and other injectables like Botox and Dysport to achieve that youthful appearance. Also, microneedling and laser resurfacing are increasingly popular alternatives. 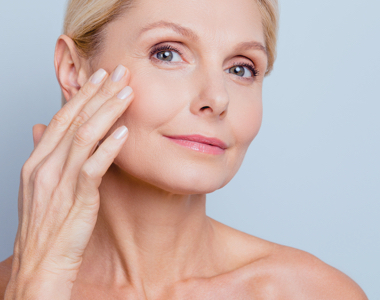 There are other options available such as a facelift or neck lift, but they are far more invasive in comparison and come with longer recovery time. For the best chances of making the right decision, consult with your physician to determine the best solution for your needs and goals.